This Lady Sang the Philippine National Anthem In California's MLB. It did not go well. Lupang Hinirang (not "Bayang Magiliw") is the Philippine National Anthem's title. And it's been trending lately here in Cebu and of course, in the country as well, when Senator Sotto proposed to change the lyrics most specifically the end part. 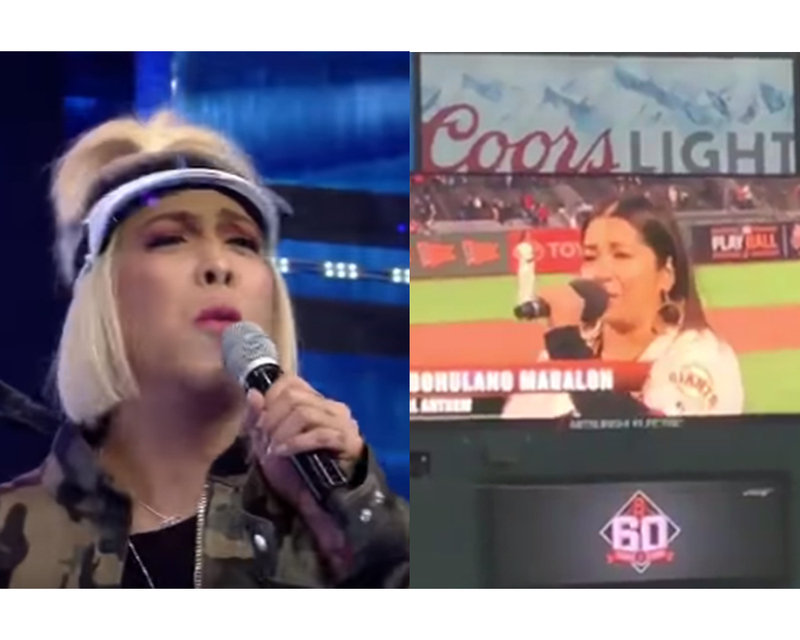 Even Vice Ganda expressed his disappointment on this matter in Its Showtime last Saturday. As I quote from Philstar, "Sotto is proposing to change the last line from the current one that declares the Filipino’s readiness, when faced with an oppressor, to die for the country – ang mamatay nang dahil sa iyo – into one that vows to defend freedom – ang ipaglaban ang kalayaan mo." Since it has become a national concern, how come this Lady who sang our National Anthem in San Diego Padres VS. San Francisco Giants Major League Baseball game could not do it properly? We don't judge her because maybe she's nervous that time but a little practice and research on the lyrics surely won't hurt? Right? Now, take a look from this original video captured by Roxanne Husain and uploaded in facebook. See below for the Youtube Version.